There are dog houses – and then there are specially crafted dog kennels like the ones at Hometown Sheds. Take a closer look at these beautiful (yes, beautiful) dog kennels that give your dog all the comforts of home. 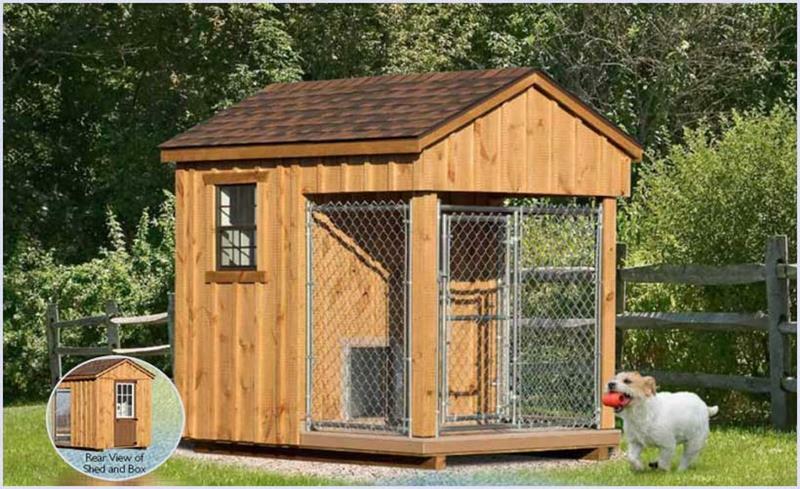 With personalized details and quality craftsmanship, a new kennel from Hometown Sheds will welcome your pet home, day after day, year after year. 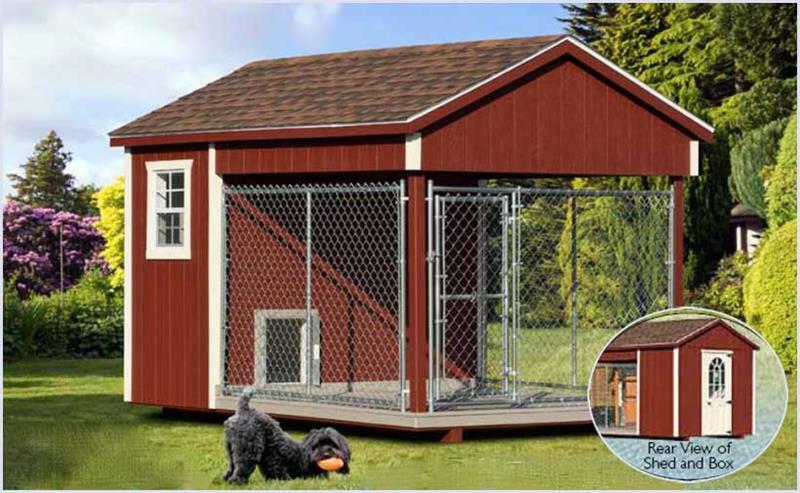 You can customize a kennel to suit your budget, your backyard and your furry baby (or babies). Choose from a wide array of sizes, colors and options. No matter how you customize, you’ll discover fine workmanship and quality construction designed to provide your family with years of performance and satisfaction. Click on the images for a closer look and a floorplan. Your kennel’s insulated interior will keep your pet comfortable in varying temperatures. Standard features include a pressure-treated plywood floor, runners and floor joists. Drop by and let’s talk about what’s best for you and your dog.